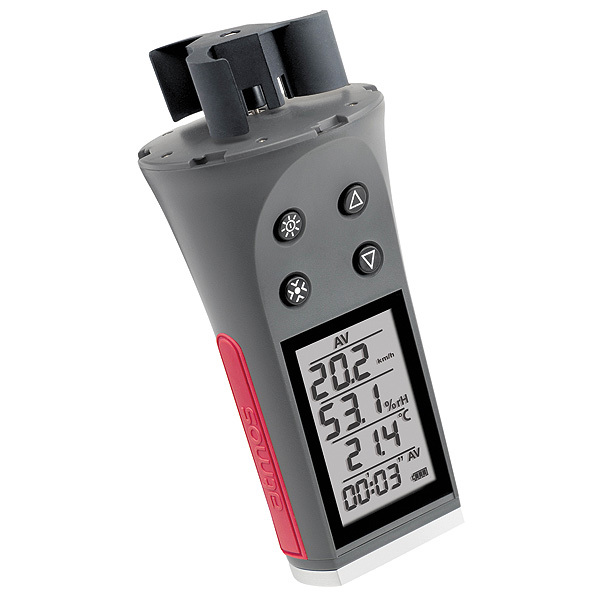 Anemometer-thermometer-hygrometer, specially designed for professional use, agriculture, environment, etc. Measurement units: km/h, mph, m/s, fps and knots. Measuring range: from 4 to 225 km/h. Temperature modes: current temperature and windchill factor. Temperature available in Celsius or Fahrenheit. 1 measure every 16 seconds. Accuracy: ±3.5% RH (20 to 80% RH). Sold with a cap to protect the impeller.